Make your Web site interactive, clean-looking, interactive, friendly, and interactive. Think of your Web site as your digital receptionist. If all your patients can do on your Web site is look up your phone number, you’re wasting everyone’s time. Patients want to register, make appointments, pay bills, get test results, chat online with a staff member, access personal health records (PHRs), watch videos, and listen to podcasts you make or recommend. They do not want to wander around your phone tree or wait on hold. Give your patients information, information, information. According to a MedTera study conducted in September 2010, 95% surveyed indicated they’re looking for more comprehensive information about disease management, and 77% said they hadn’t received any written information about their illness or medications directly from the physician. Understand that people have different types of learning styles and offer your group information and medical information in different ways. Offer information via written and digital documents, videos, and podcasts. Offer support groups and group education for the newly diagnosed. Help patients build communities around your practice. (between 10 am and 12 noon), then text them when their appointment is 20 minutes away. Use a patient portal to take credit cards, keep them securely on file, and stop sending patients statements. Use the portal to deliver results to, chat with, and e-mail patients. Stop fighting the tide and let your staff use social media at work—for work. Involve everyone in Facebook, Twitter, your Web site, and blog. Using social media for communication and marketing is not a one-person job. Form a patient advisory board and listen to what specifics your patients want from you. If people don’t have time to attend a face-to- face meeting, use Skype. Think about alternate service delivery models, both in person (group visits, home visits) and digitally (e-mail, texting, Skype, avatar coaches, home monitoring systems). Emotional technology studies show people can improve health by accepting and utilizing health care technologies. What do patients want? They want information, communication, and a real connection with you. Use social media and technology innovations to make it happen. Mary Pat Whaley, FACMPE, CPC, is the founder and president of Manage My Practice. 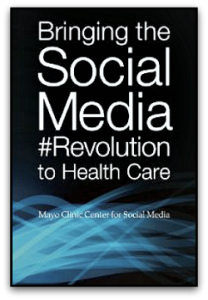 Want to revolutionize health care? Give patients information, information, information. 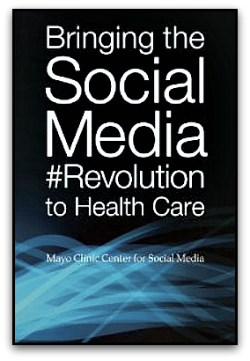 It's time to stop fighting the tide and let clinical staff use social media at work—for work. Health care is changing to empower patients to participate in their own care. How will you change with the times? One easy way clinics can revolutionize health care: Take down all those signs asking people to turn off their cell phones.